Protecting your privacy is important to us at Green Mountain Lines. This Policy explains how we use and discloses the personal information collected from and provided by you while using our Web site. Any personal information collected or provided to us through our request for services form will be treated with care, subject to this policy, will not be used or disclosed in ways to which you have not consented to. 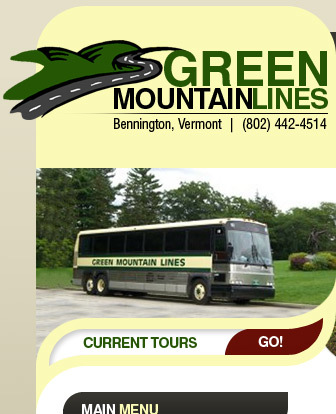 By using the site www.greenmountainlines.com, you signify your consent to the collection, use, and disclosure of your personal information in accordance with this policy. If you do not agree with this policy, please discontinue use of the site. Like many other web sites, the site automatically collects certain non-identifiable information regarding site users, such as the Internet Protocol (IP) address of your computer, the date and time you access the site, your operating system, the sections of the our site that you visit, and the materials you viewed or download from the site. This non-identifiable information is used for site administration and improvement. Your non-identifiable information may be permanently archived for future statistical internal use. During your use of the site, you may decide to voluntarily provide personal information such as your name, email address, postal address, and telephone number when asked for purposes such as communicating with us. We may use your personal information to contact and correspond with you, to respond to your inquiries, and as otherwise permitted by law. If you provide your email address, we may send to you, a email if you have requested us to do so. Green Mountain Lines must cooperate fully should a situation arise where Green Mountain Lines is required by law or a legal authority to release your personal information. New versions of this Policy will be posted here and you should check for Policy updates. If you have any comments or questions about this Policy or your personal information, please contact us.